There are currently 191 blog entries related to this category. Friday, November 30th, 2018 at 1:05pm. Wednesday, November 29th, 2017 at 1:55pm. This extraordinary three bedroom home, located at the House in Victory Park, offers breathtaking views of Downtown. It provides the utmost in luxury featuring hardwood floors, Lutron lighting & electric shades, marble clad baths and floor to ceiling glass. The modern kitchen is a chef’s delight with Asko & Wolf appliances including double oven, electric cooktop and SubZero refrigerator. The large master suite is a dream with its large custom closet, spa-like bath and terrace. Situated in the heart of Victory Park, you are within close proximity to American Airlines Center, Klyde Warren Park, DART, museums, and tons of shops and restaurants. Monday, November 6th, 2017 at 7:28am. Monday, August 14th, 2017 at 1:46pm. The ultimate in luxury at Tower II Residences at the Ritz Carlton. This exquisite home features a gourmet kitchen with top of the line appliances, spacious balcony, beautiful wood, stone and marble floors throughout, grand master suite with spacious marble bathroom and walk in closet and more. First class building amenities include valet, concierge, fitness center, resort style pool, room service and housekeeping. Premier Uptown location in close proximity to Klyde Warren Park, AAC, Arts District restaurants and shops. Thursday, July 27th, 2017 at 8:32am. This one of a kind three story home at One Arts Plaza in the heart of the Arts District is the ultimate in luxury living. It boasts floor to ceiling glass, limestone and wood floors, motorized shades, sound system and three terraces with spiral staircase. On the main level you will find an open living, dining space and a Bulthaup kitchen with Miele appliances, including a gas cooktop, SubZero refrigerator and wine fridge. The master suite, located on the top floor, features two custom closets, a marble bath with large soaking tub, separate shower and private terrace. The first floor offers a guest suite, study and full size utility room with a large storage area. Elevator access to each floor. Wednesday, May 31st, 2017 at 11:07am. This two story soft loft features 20 foot floor to ceiling windows, floating marble fireplace, wood & concrete floors, surround sound & private terrace overlooking McKinney Ave & Downtown Dallas. The sleek kitchen boasts SubZero refrigerator, Bosch dishwasher, gas cooktop & Avanti wine fridge. The generous master suite is the perfect retreat with large sitting area, bath with jetted tub, walk in shower & spacious closet. This fabulous building offers its owners 24 hour concierge and newly updated stainless steel pool. 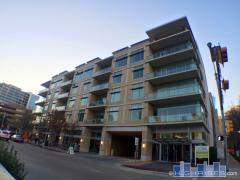 1999 McKinney is located on the McKinney Ave. Trolley line, just 1 block from Kyle Warren Park & the Arts District, as well as a short walk to American Airlines Center & tons of wonderful dining. Friday, May 19th, 2017 at 8:50am. Please join us this Sunday, May 21st, for a tour of some of the most beautiful homes and condos currently available in Dallas. If you need directions or any other help don't hesitate to contact us at . We look forward to meeting you at one of these amazing properties!